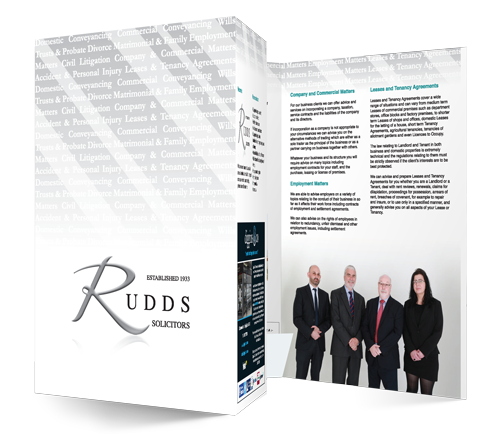 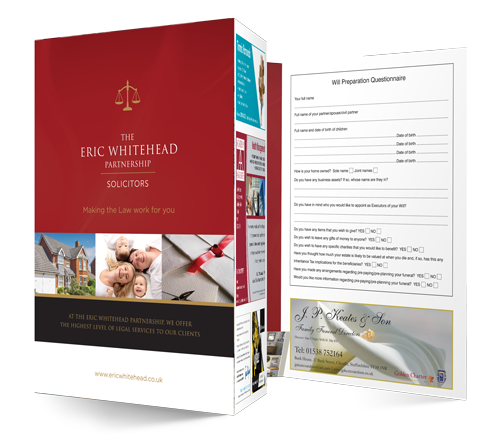 Law firms and Solicitors are no different to any other business in that the cornerstone of any successful company is the image they portray, together with the message they tell and the presentation they make. 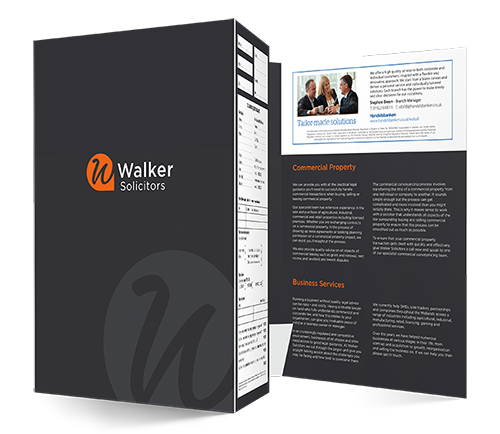 The future of your business not only relies on providing a good service to your existing clients, but on good marketing strategies. 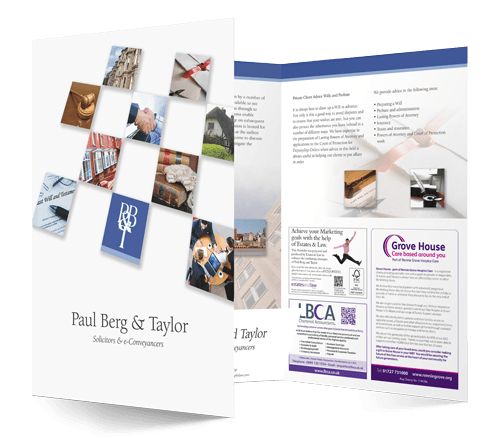 It is imperative that every firm cross sells their services to both new and existing clients, and the portfolios we produce are the perfect vehicle for providing all your clients with this information. 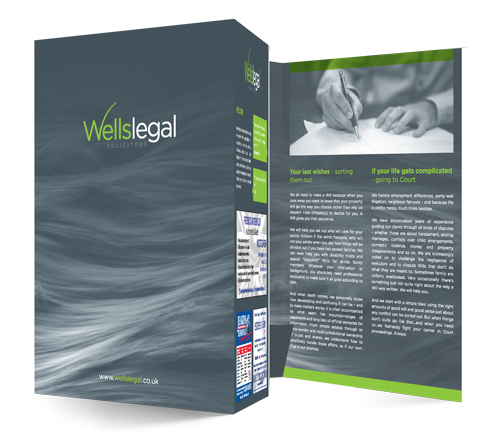 It is a common misconception by many lawyers that their clients are fully aware of the array of diverse advice available from their team. 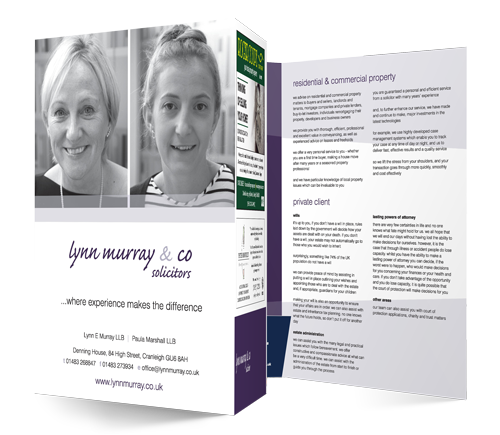 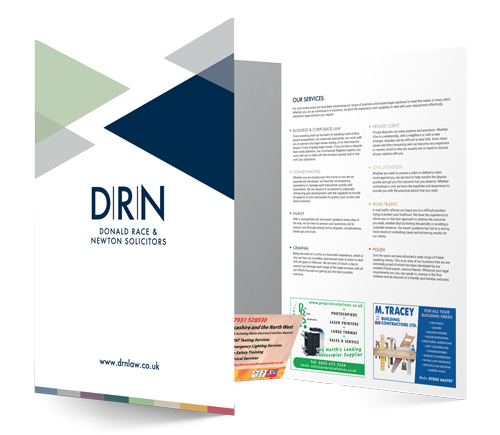 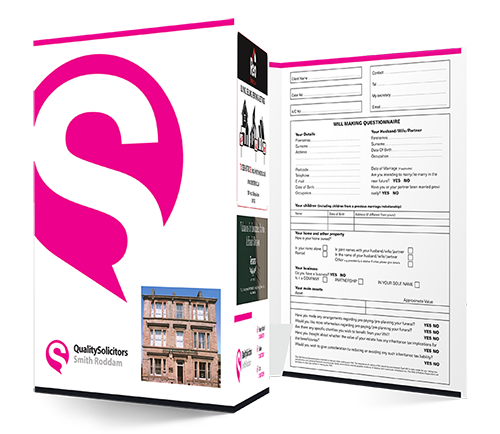 Our bespoke products are individually designed in such a way that they deliver detailed information about the range of services available, whilst also serving as an ongoing working file for your clients to retain all their important legal documentation in for future reference. 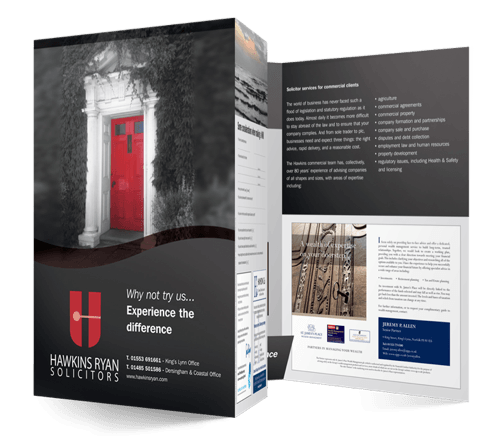 Having worked with over 2,000 law firms since 1987, we understand the very nature of what makes a successful practice, and from our long history of working with solicitors throughout the entire United Kingdom it is an established view that a proactive marketing approach is fundamental in the growth and development of future business and client retention. 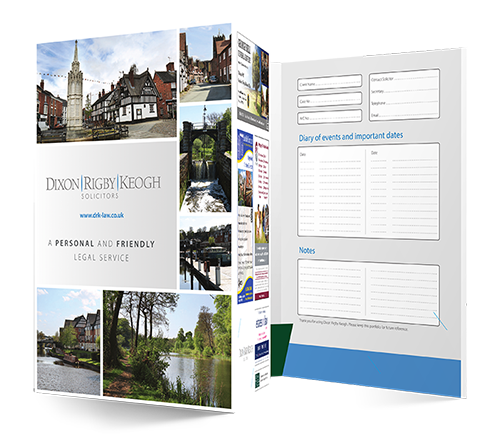 Please click on any one of the images above to review a sample of our work, and should you wish to take a closer look at a physical example then we will be more than happy to forward you one in the post, please just request one by following any of the buttons below.